‘Badla‘ will be Taapsee’s second collaboration with actor Amitabh Bachchan, as the duo last shared screen for 2016 National award-winning film ‘Pink’. The upcoming film is a crime-thriller directed by Sujoy Ghosh, starring Amitabh Bachchan, and Taapsee Pannu. It is the remake of the 2016 Spanish thriller film ‘Contratiempo’. The film is produced by Red Chillies Entertainment in association with Azure Entertainment. Yesterday, the producer of the ‘Badla’ released the character poster of the film. 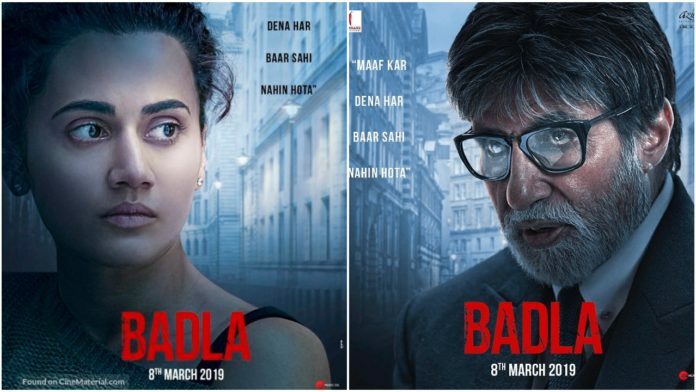 The poster of ‘Badla’ left the fans intrigued as it read, ‘Maaf kar dena har baar sahi nahi hota’ (To forgive is not always the right thing to do). 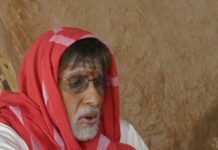 Two posters were released where one featured Amitabh Bachchan in the character and another one was with Taapsee with the tagline. Today, the trailer of ‘Badla’ was released online and the story supports the message of not forgiving and seeking revenge. The movie revolves around a girl, Naina Sethi who fights for the truth in an attempt to seek revenge. Amitabh Bachchan gives a powerful performance as a lawyer, and Taapsee’s acting will surely leave you thrilled for the film. Malayalam actor Tony Luke is also a part of the film. ‘Badla’ is slated to release on March 8, 2019. ‘Judwaa 2’ 1st day box office collection! 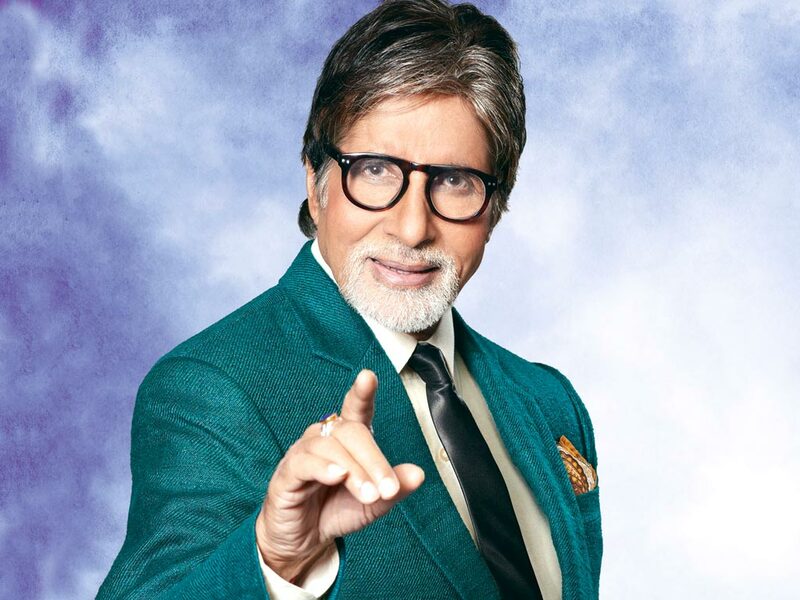 Amitabh Bachchan’s praises for his co-star Aahana Kumra!